The Petratto Jetbat is a single machine that creases then folds paper or light board in one pass. JETBAT is a compact, heavily built machine. 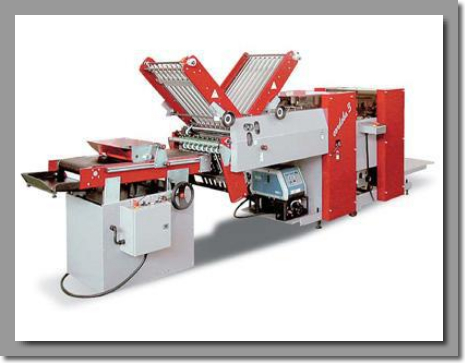 JETBAT utilizes a unique roto-die creasing system to produce high speed accurate folds on a wide variety of stocks. Fast make ready and changeover are just some of the features of the JETBAT. The folding section can be bypassed when there is a requirement for creasing only. The crease and fold mode is used for folding light board, cross grain, coated paper or digital printed stocks. Die-creasing high speed, without sheet stop.